Despite only launching in 2014, this single grain whisky endorsed by celebrity David Beckham has its roots in 17th century Scotland. Haig Club’s blend of grain whisky matured in three different cask types – first-fill American oak, rejuvenated and refill casks – has a soft texture and whiff of light orchard fruits underpinned by soft caramel and spice. Its Clubman offshoot however is far more woody and sweet, a result of maturation in American oak casks previously used for Bourbon. The grain whisky presented in a distinctive square, blue bottle launched in 2014, though the heritage of the family it was named for stretches back some 400 years. The first record of a Haig making whisky was in 1655, when Robert Haig was hauled in front of the church elders for daring to distil on the Sabbath. Almost 100 years later, his great-great-grandson, Robert Haig, married Margaret Stein, and four of their sons became distillers, opening their own plants in Scotland and Ireland. It was their grandson, John, who founded Cameronbridge grain distillery in Fife in 1824. In 1829 John Haig installed the patent still at Cameronbridge, which his cousin Robert Stein had invented, although no sooner had Aeneas Coffey created his own improved version of the patent still, John installed one of those too. In 1865 John Haig formed an alliance with eight other grain distillers, which in 1877 became known as the Distillers Company Ltd. (DCL). 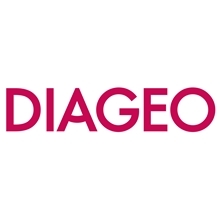 Eventually, following many mergers, DCL evolved into Diageo. Cameronbridge, which is the largest grain distillery in Scotland and the only one wholly owned by Diageo, not only produces grain whisky for blends – as well as for a small single grain brand, Cameron Brig – but is also the home of Tanqueray gin and Smirnoff vodka. In 2014 Diageo announced a partnership with ex-footballer David Beckham and music mogul Simon Fuller to launch a new, luxury single grain whisky from Cameronbridge. The brand was named Haig Club – an homage to the distilling family that started it all and a nod to 1920s advertising references that described Haig’s flagship blend as ‘The Clubman’s Whisky’. While it was by no means the first single grain whisky to launch in the 21st century, Diageo described the launch of Haig Club as a ‘terrific accelerator for the whole sector’, and a spearhead for grain whisky to ‘break into the mainstream and gain the recognition it deserves’. In August 2016, Diageo released Haig Club Clubman, a more affordable expression designed to appeal to ‘different occasions and consumer tastes’, and which the group suggests should be served with cola. 1877 Cameronbridge becomes part of Distillers Company Ltd.